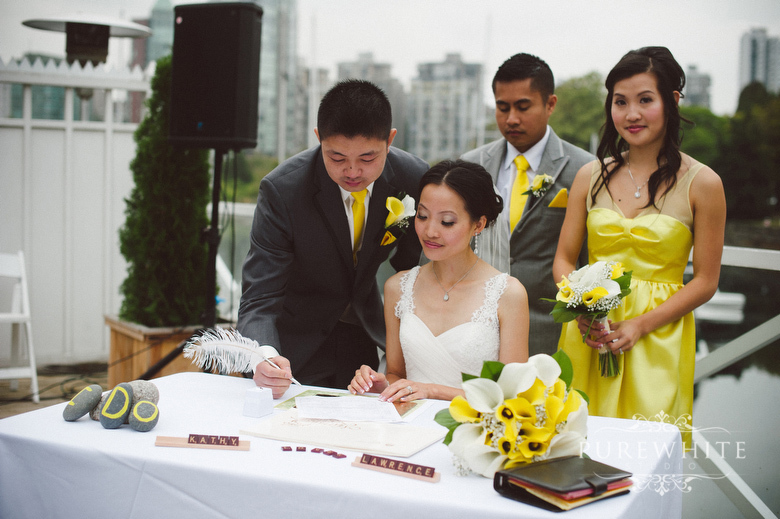 Kathy and Lawrence's yellow themed wedding, at the Vancouver Rowing Club in Stanley Park, was nothing short of sweet. 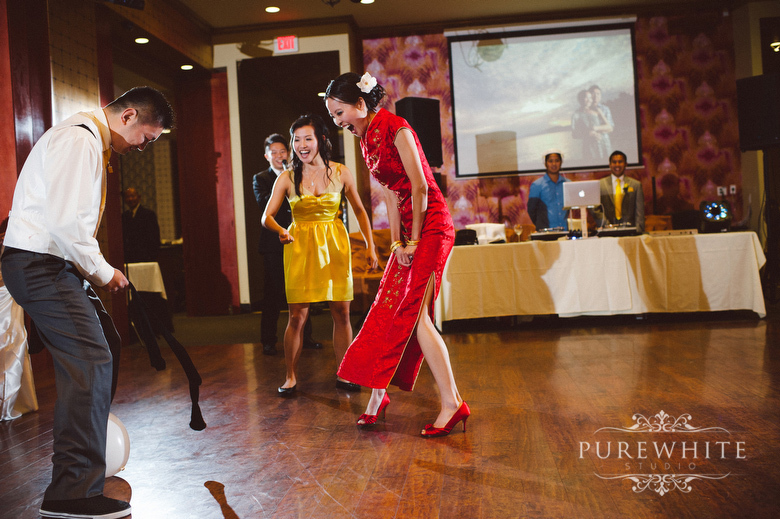 They had a traditional Chinese tea ceremony right before a night filled with fun reception at the Rainflower Seafood Restaurant in Richmond. Yellow and red are brilliant colors for a summer to fall transition. All the little touches of decor from their ceremony and reception made it special and uniquely theirs. It's the little things that count! It was such a beautiful day for this lovely wedding. We captured many touching moments of laughter, some of happy tears...but most importantly, of the joy and love they share on a special day like this. And we had an amazing time with them! 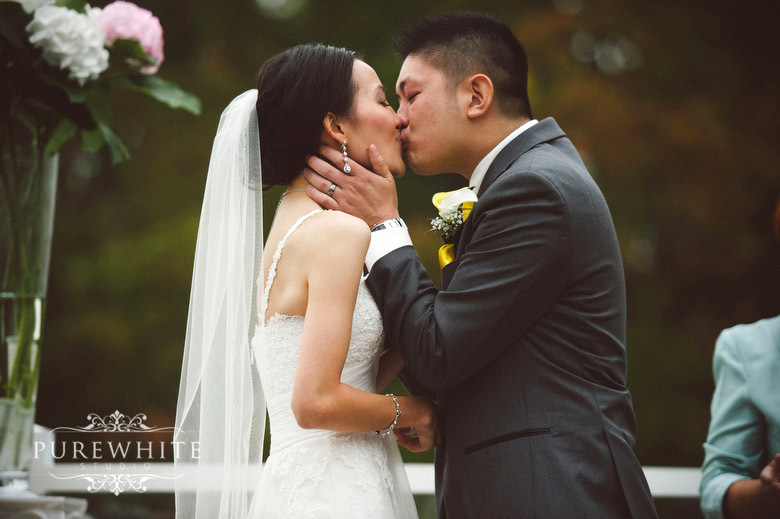 Thank you, Kathy and Lawrence, for allowing us to be a part of your day! ...the ladies had bouquets of yellow and white Calla Lillies. 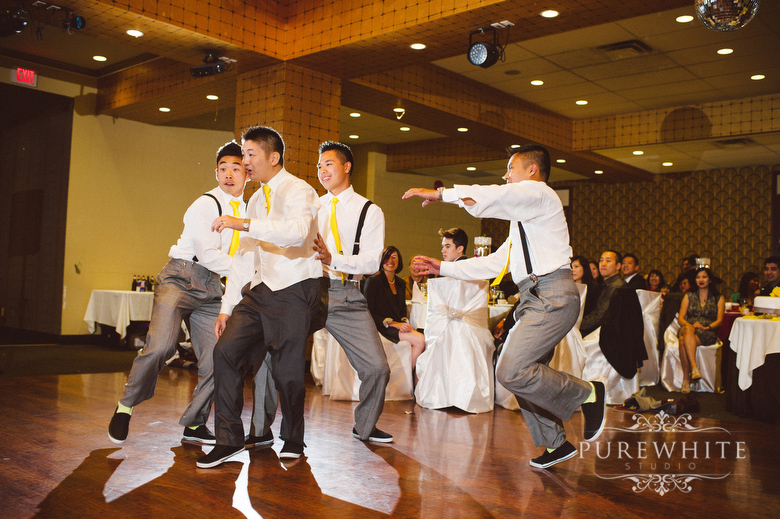 We loved the modern twist to a traditional wedding! 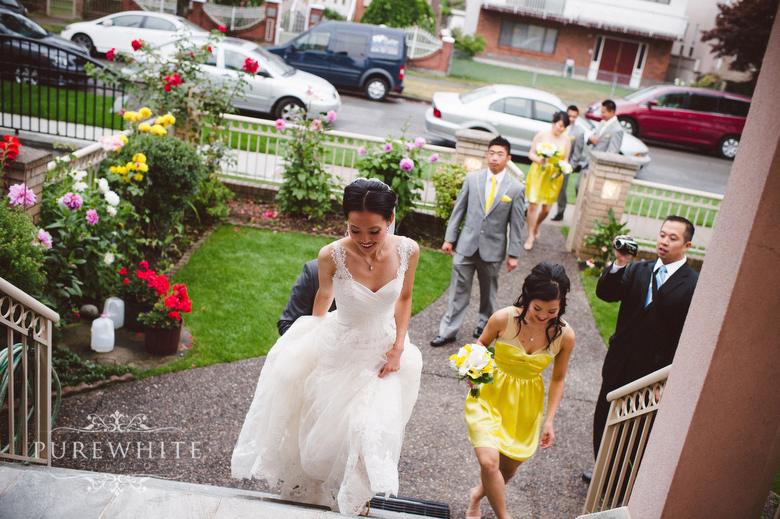 And Kathy's bridal gown was classy and elegant. The traditional Chinese prayer to their ancestors was taken place at Lawrence's home, as the family prepared many delicious dishes as a symbol of respect. We were honored to be a part of such intimate and sacred blessings. A few shots before the ceremony. 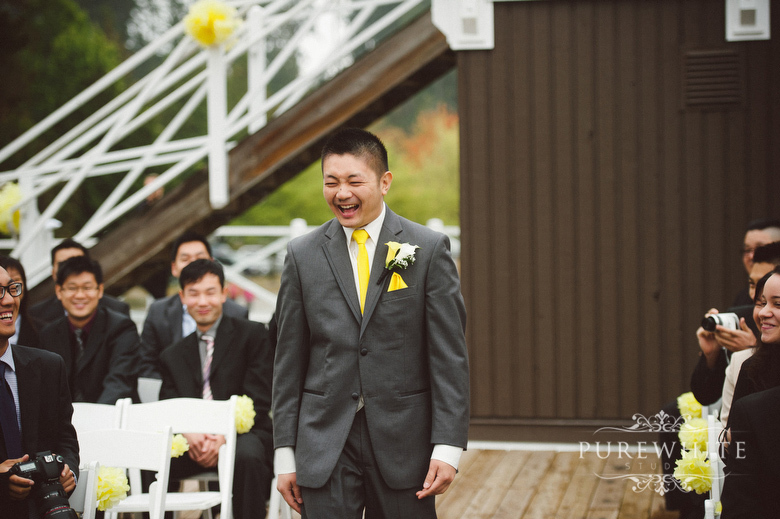 One of our favorite details was the "i do"
Lawrence was one happy groom...can you tell? 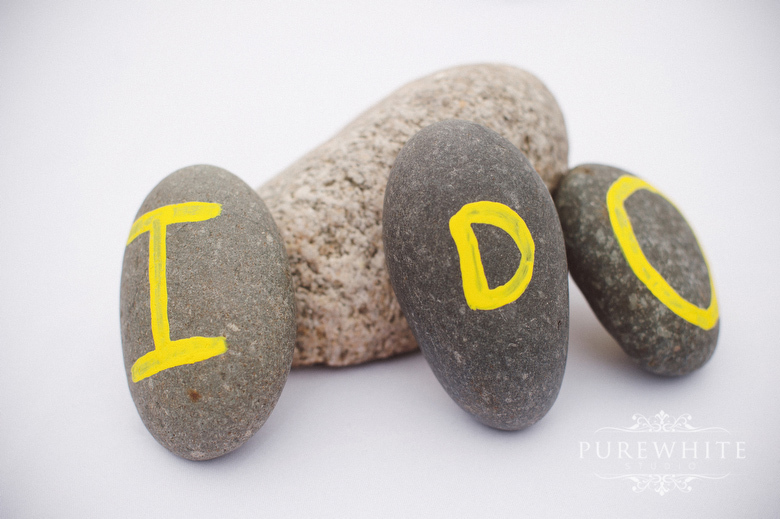 Smiles and tears coming from both the Bride and Groom with truly touching vows...it had all the Bridesmaids tearful too. After the ceremony, we saw some architecture around the rowing club and found it a great photo opportunity for the bridal party. We had so much fun shooting with this playful couple! 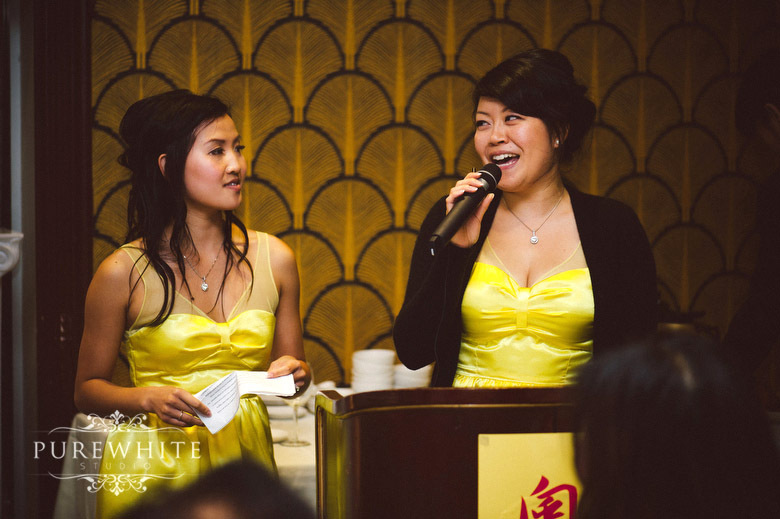 Yellow and red are usually rare together, but they did a wonderful job pairing the colors throughout the reception. 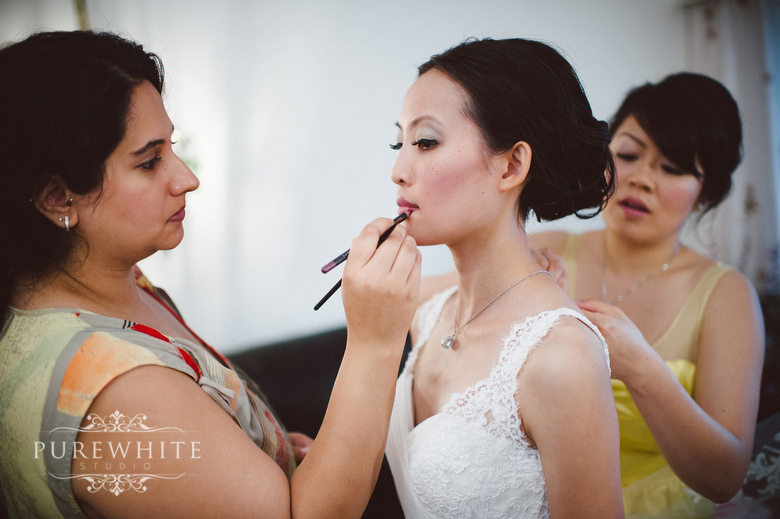 Kathy changed into a beautiful red gown as their family exchanged tea and gold jewelry. Cake cutting, toasting, and some chopsticks clinking... Kathy and Lawrence leaned in for a kiss...(privately)...before the speeches began. 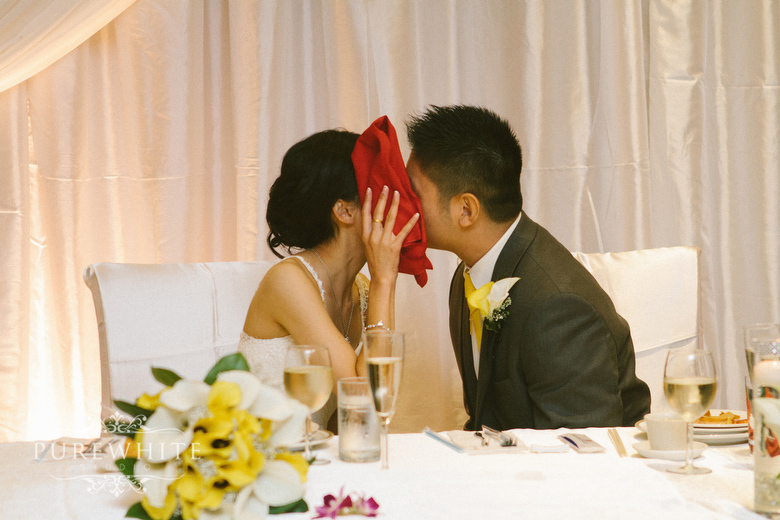 Their personalities never cease to amaze us as Kathy dips and kisses Lawrence! Lots of energy and dancing to end a very wonderful day! Needless to say, there was too many countless incredible moments with Kathy and Lawrence. 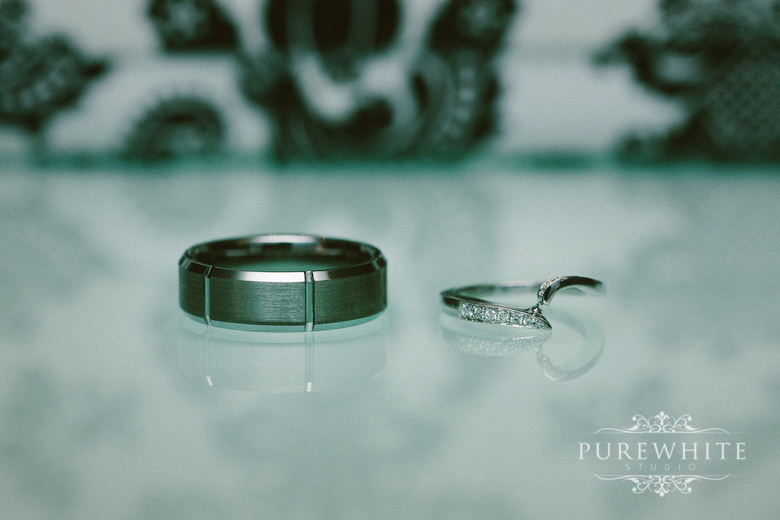 To see more of Kathy & Lawrence's Wedding Highlights, click below! We want to thank all the other vendors for making their special night happen!